The Society of Australian Cinema Pioneers was founded by Stanley N. Wright on November 29, 1933 and now has more than 2,200 Members. They are a not for profit association dedicated to the recognition of people who have worked in the Australian Film Industry for 20 Years or more. The Society provides members with a means to stay in touch with industry colleagues, and connected via newsletters and social gatherings. It also entitles members (and a guest) to complimentary cinema admissions* at selected cinemas throughout Australia. For those not in the industry, it is a prestigious honor to become a member of the Pioneers as it acknowledges 20 Years of service and dedication to one specific industry. 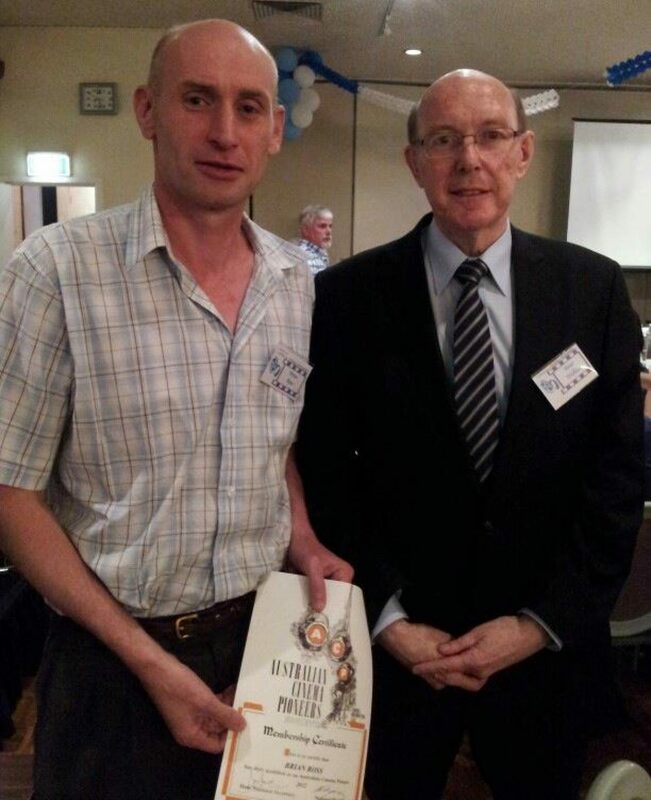 Brian was presented with his card and certificate by Peter Wallace who is the President of the Victorian branch for 2013, at the final Pioneers Dinner Function for 2012 which was held at Club Tivoli on Wednesday October 31st. I’m sure that many of you have known or met Brian at some stage over the past 20 years, most likely when he has visited your cinema to undergo repairs or a refurbishment. On behalf of the Cinema Pioneers and the team here at Specialty Group I take this opportunity to congratulate Brian on joining the Cinema Pioneers fellowship and look forward to another 20 years in the industry. Dolby Atmos: A Revolutionary New Cinema Sound Technology →← Which cinema screen surface should you use?